We’re going again!!! This year we’re going to the Sox game on April 14th to see the Sox take on the Detroit Tigers. Print out our Sox Night Flyer 2012 and return it to a TAP teacher by Feb 15th to order tickets and take part in the fun. 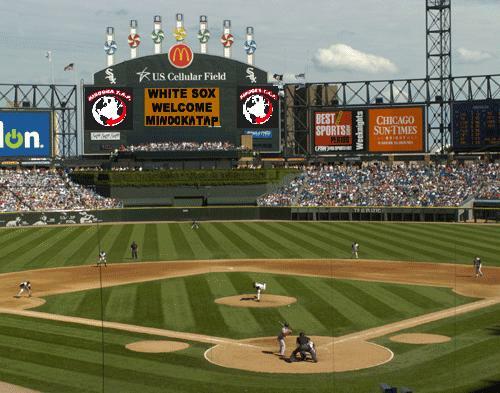 We know that professional sports prices have gotten out of hand lately, so we’re working with the Sox to make one spring afternoon an affordable day to take the family to a ball game. We have a deal that will get you cheap tickets and free food at the ballpark!!! So come with TAP to The Cell for a fun time of baseball, hot dogs, and (insert the beverage of your choice here). We’ll all sit together, maybe take a picture of the group with our cool TAP t-shirts on, and our group’s name will appear on the scoreboard. Tickets are limited, so act fast. You can purchase in packages of 1, 2, 4, 5, 10, and 25. The higher packages are discounted, so team up with friends, family, neighbors, or some hobos you found near the railroad tracks. 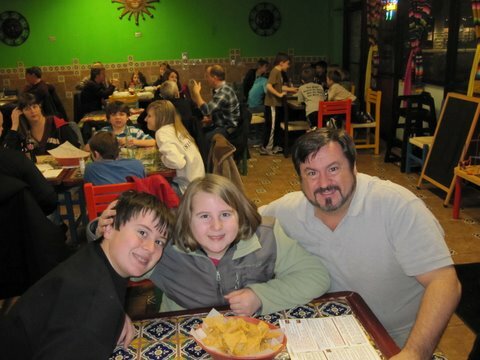 Fundraiser at Local Restaurant – A hugely successful fundraiser and a burrito the size of my torso! Tara and her cousin enjoy the awesome chips and salsa. 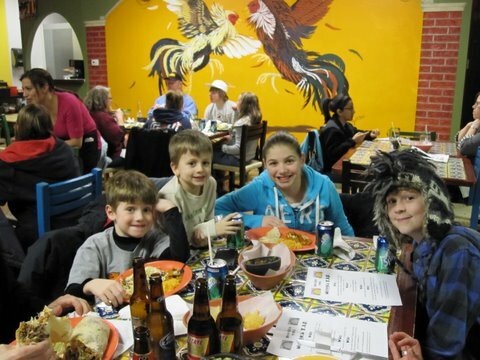 El Palenque Mexican Restaurant was our latest fundraiser. 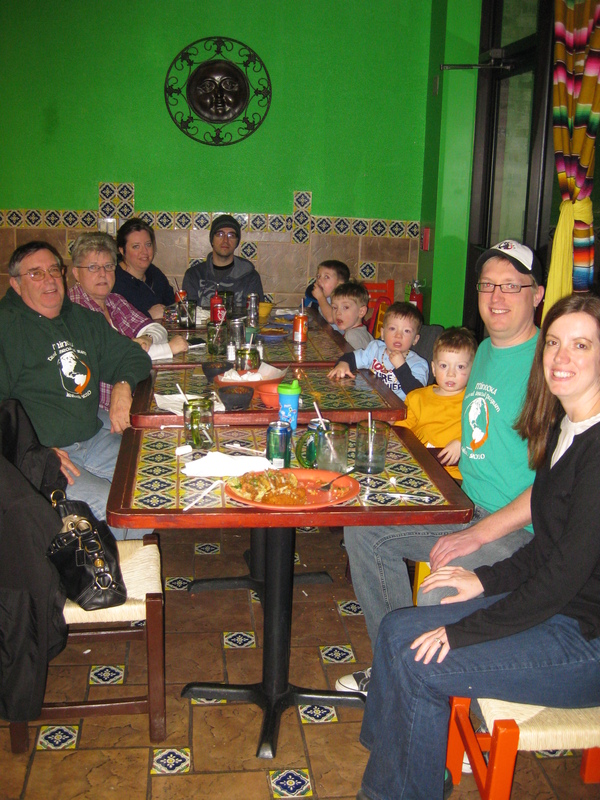 We hoped to see TAP members past, present, and future, as well as their friends and families dining at El Palenque on Saturday, February 26th 2011, and we did. There were tons of TAP people there. 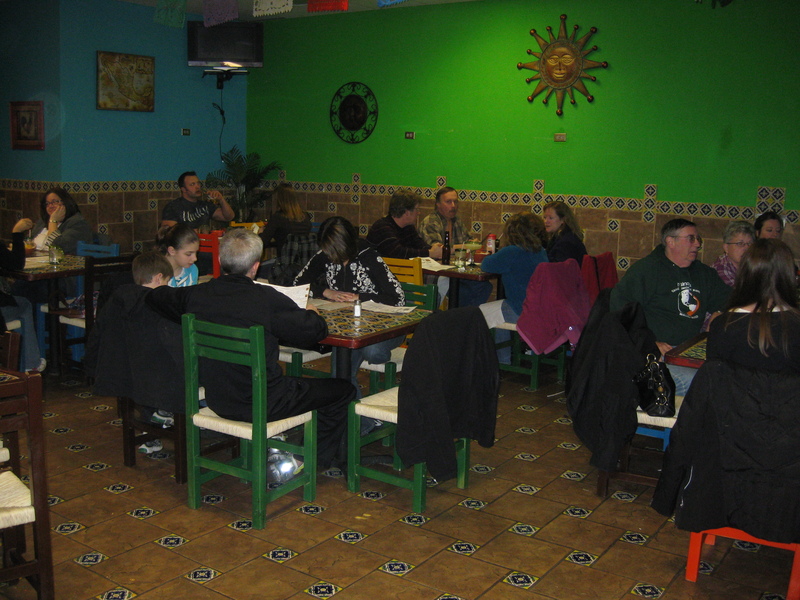 At one point every table in the restaurant was filled with members of our group. Miss Lara went for lunch and dinner. During the afternoon, the Spreitzers, the Goederts, the Diazs, the Schumals, and Mr. Doerr (with his daughter) were all there. Mr. Curtis brought his entire family, including his parents – who have traveled on two TAP trips and plan to come again in 2012 to Japan. 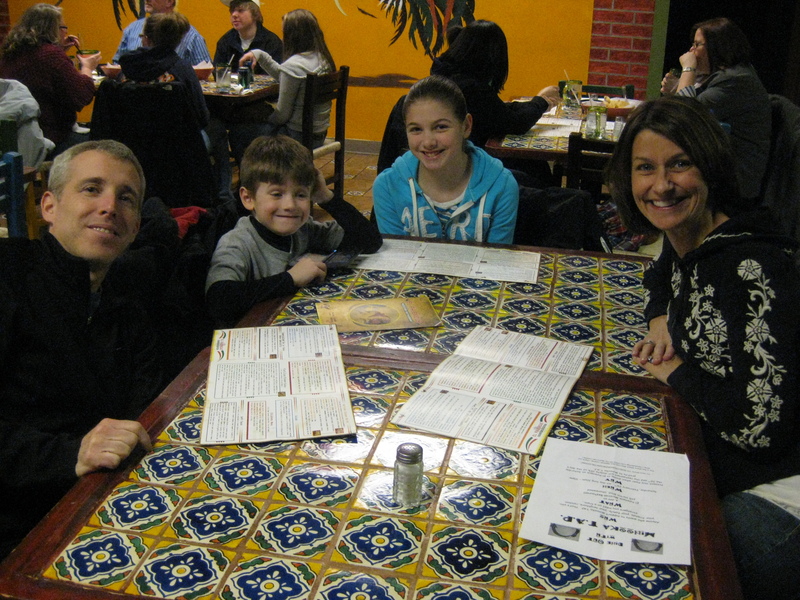 The Curtis family enjoyed dining with Miss Filetti, and met a whole slew of TAP folks enjoying their dinners. Can you believe there's that many people that aren't embarrassed to be seen with Nate's hat??? The Zurawskis, The Motschs, the Grahams, The Harigs, The Dixons, and the Kirklands all stopped by and saw Mr. Curtis, and so did Mr. Sharp picking up some takeout. 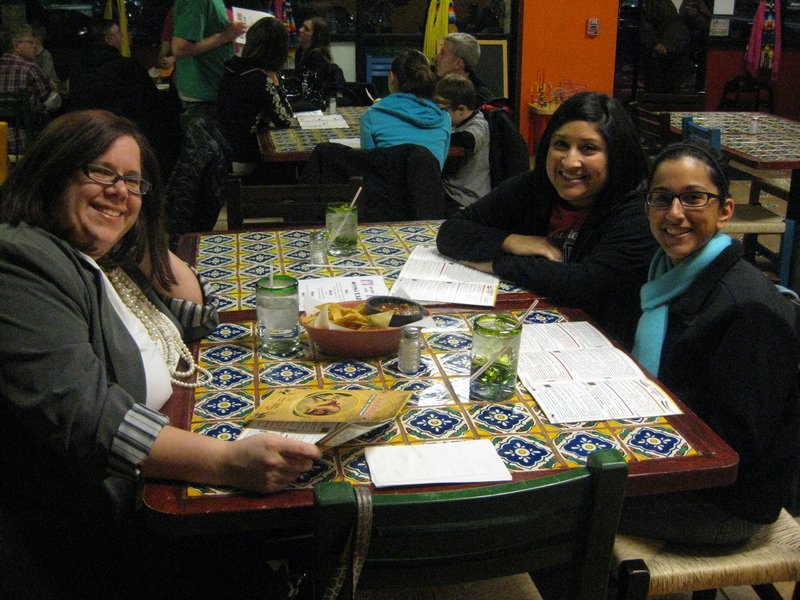 We also saw some fantastic MIS teachers – Miss Tadey and Miss Cama, who hung out and showed their support. Later on, the Weeds, the Finks, the Burjeks, and the Wilsons all came to enjoy the food and friends. 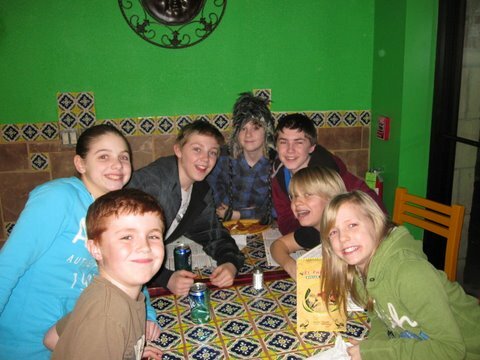 The Weeds and Burjeks wisely sat far away from Nate's hat.the food and support the group. 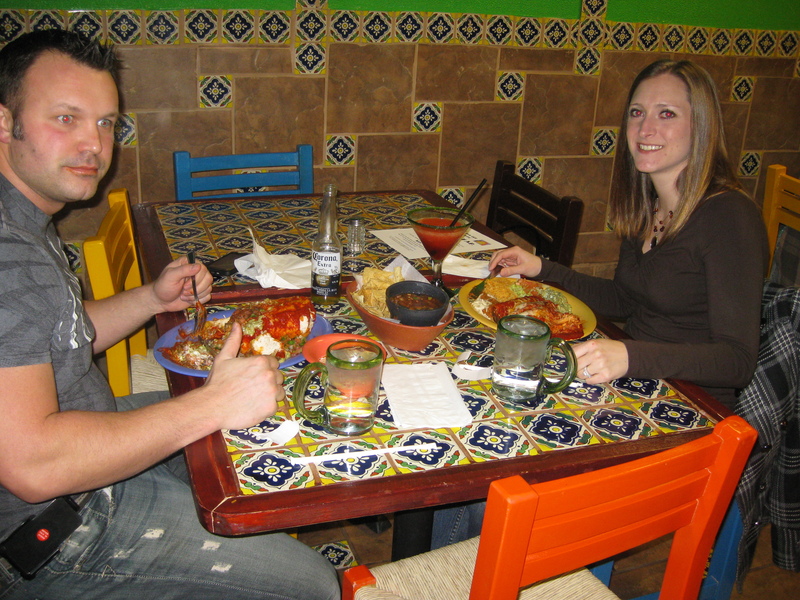 The food was fantastic, so we can recommend you go to El Palenque even when they aren’t having a TAP day. 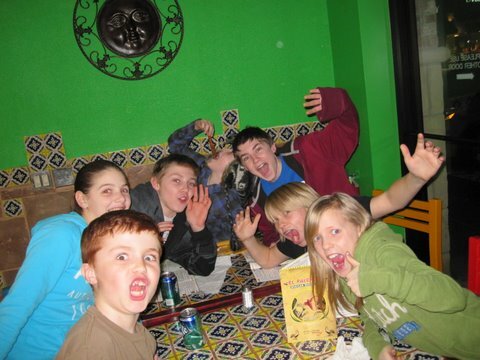 The steak burrito was big enough that most 6th graders could live in it. The tacos were wonderful, especially the fish tacos. Even the kids meals were good. 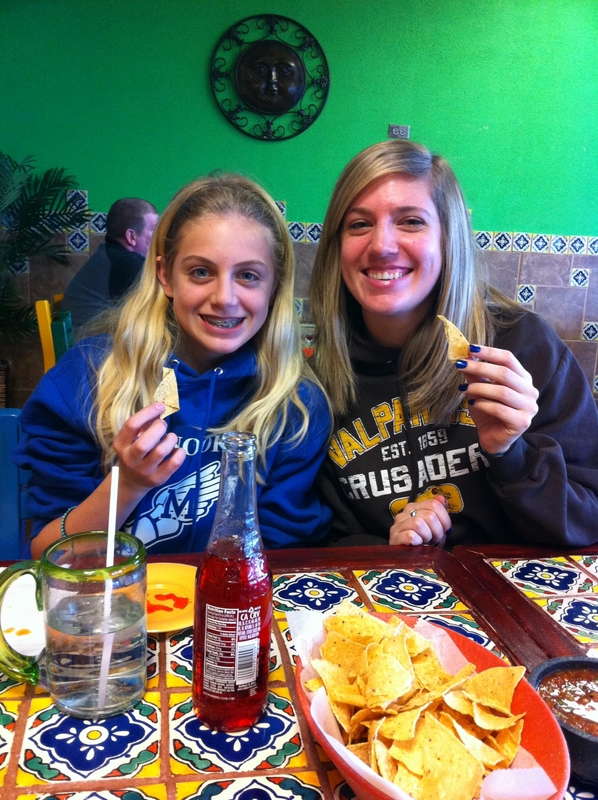 The Curtis twins had quesadillas that they loved, and Ashley Doerr said that the grilled cheese was just like mom makes. 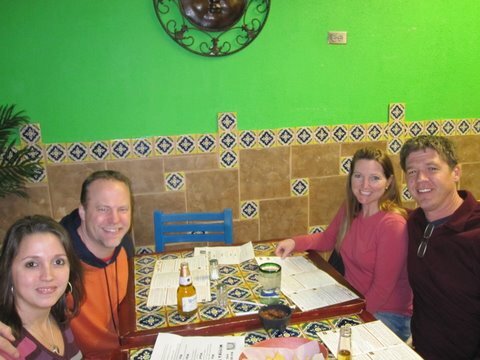 Thanks to everyone who came out to El Palenque and supported the group. It’s people like you that have made TAP like a family. 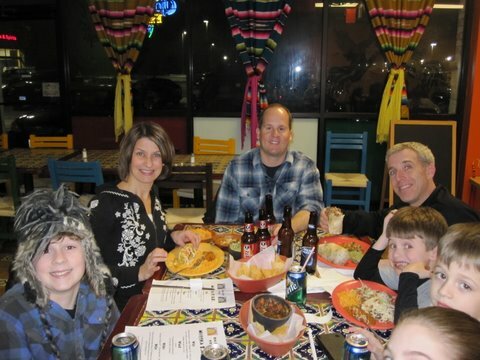 El Palenque is open from 10am-10pm and can be found at 315 Vertin Boulevard in Shorewood, Illinois. That’s on the wes t side of Route 59 between Theodore and Bl ack. Every single table was filled with TAPpers!!! The Graham family seems to have misplaced their Claire again. Let's just hope they didn't leave her on the roof of the car like my mom did with a cup of coffee once. 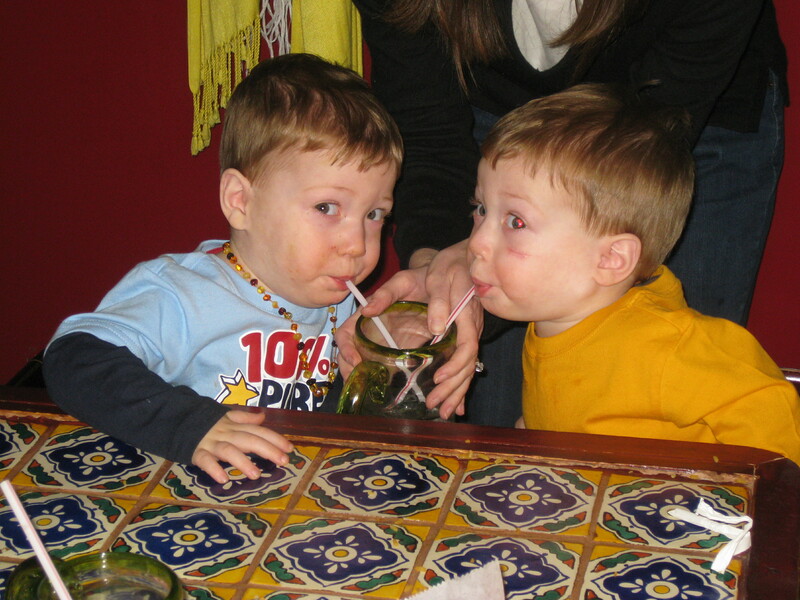 It's my website, so I can put a cute picture of my kids on here, and you can't stop me. 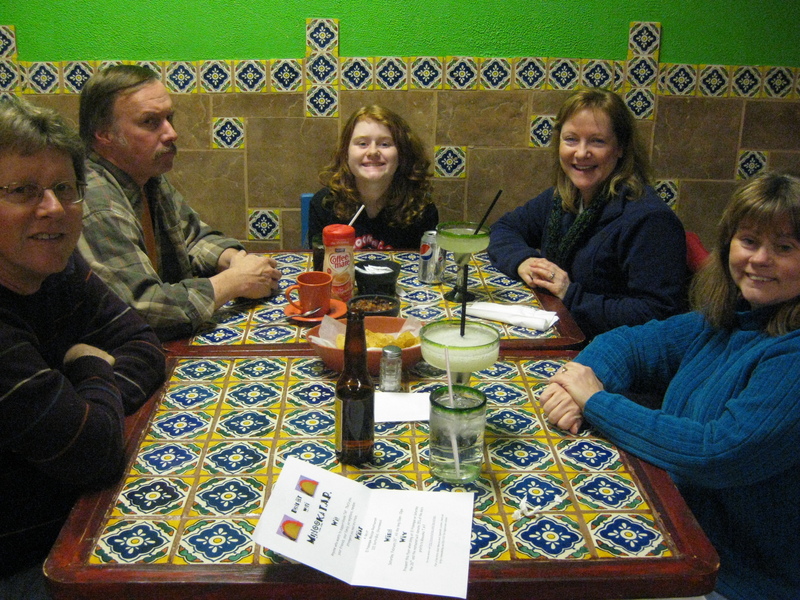 The entire Curtis clan came to consume copious quanties of commendable quesadillas. No, just kidding, I had a burrito. 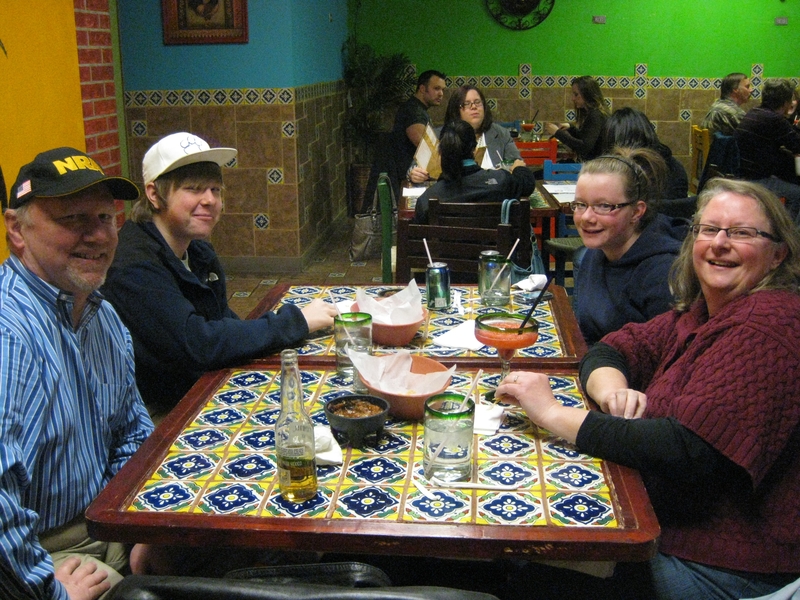 The Motsch family looked a little less frightened before Nate's hat showed up. I'm not trying to be funny here, the guy in the back left is named Weird Uncle Marty. We're glad the Dixons came just so we can now tell people we know a Weird Uncle Marty. Great teachers, great friends, and a great cause. Mr. and Mrs. Harig and a burrito the size of a toddler. 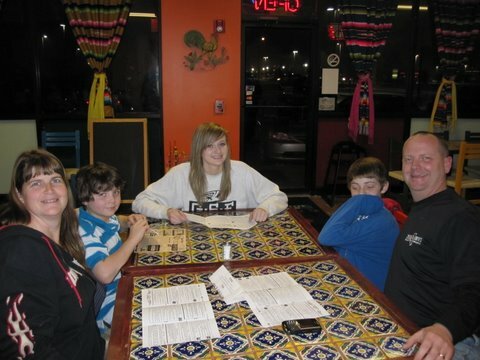 The Wilson family moments before Kevin had his face smashed into a bowl of chips. At least that's what it looks like to us. 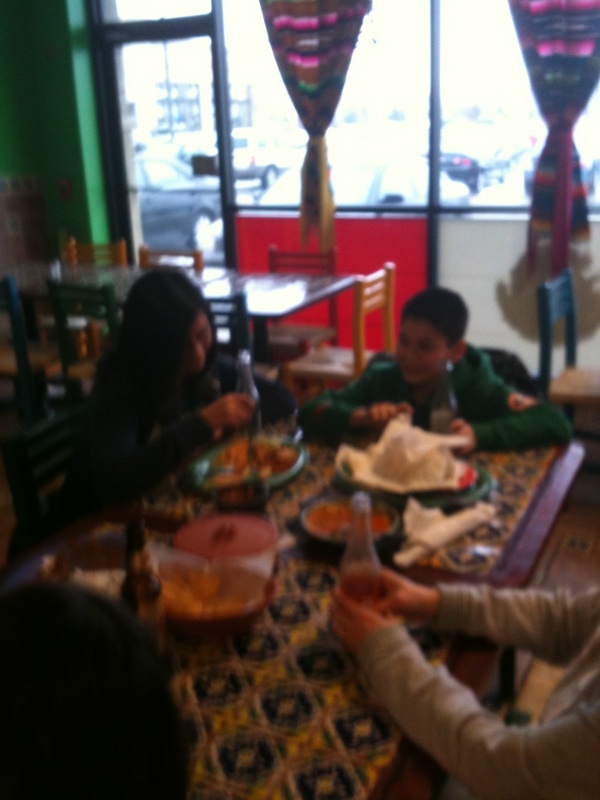 Eating at El Palenque made Ivy and her brother kinda fuzzy. Either that, or it was Mr. Doerr's camera. 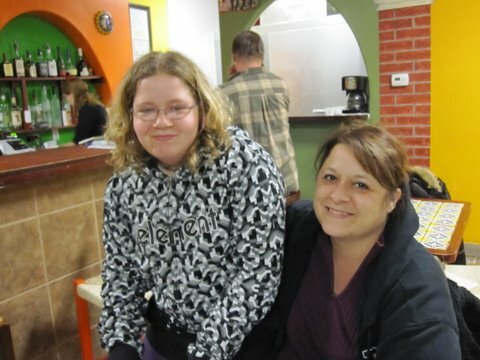 Joy and her mom were able to remain calm while supporting the group at El Palenque. Look out Japan - 5 of the 7 crazy kids in this picture are headed your way. This one makes them look slightly more stable, but there's still that hat that worries us. The Kirklands represent 3 of the 6 TAP trips so far. Greece, Italy, and Japan. Where does Garrett want to go? Four kids, four empty beer bottles, and giant picture of cockfighting. Out of context that looks really, really bad. I’m just going to say that you have the cutest kids ever! Nolan – Thanks, I think so too… that is until that day when they both found a bottle of glue and dumped it on the dog, the couch, the DVD player, and their own heads, then when I tried to grab them to put them in the bath – one ran one direction (up the stairs) and the other went the totally opposite way (down the basement steps), both of them making little tiny glue footprints everywhere they went and causing everything they touched (a cat, the wall, the carpet, my coat, their brother, a trillion toys) to be really sticky and covered in dog fur. We still have a few toy cars that had so much glue and fur on them that to this day they look more like cocker spaniels than monster trucks. man i wish i was there for those they look fun…. i will make sure to go the next one. I did. They were pretty good, but sadly that restaurant went out of business soon after our outing.